Put the almond flour, other dry ingredients and butter in a food processor and pulse until it resembles fine breadcrumbs. You can also do this by hand if that’s your thing. Turn into a bowl and mix in the cheese until evenly distributed. Make a well in the center of the dry ingredients and pour in the milk. Mix by hand to form a dough. It will be a little sticky. Using almond flour to dust the surface, knead the dough lightly until smooth. Roll out the dough to 3/4 inch thick. 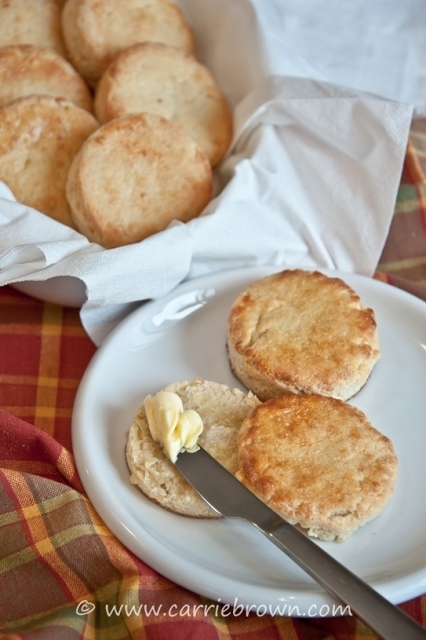 Cut out biscuits using a round or fluted cutter. Gather up the trimmings into a ball, re-roll and cut remaining dough into rounds. Place the scones on a baking sheet. This recipe does not contain any non-starchy vegetables or nutrient-dense protein. It is highly recommended that you drink a green smoothie and enjoy a serving of nutrient-dense protein before eating this dish to maximize your SANEity.